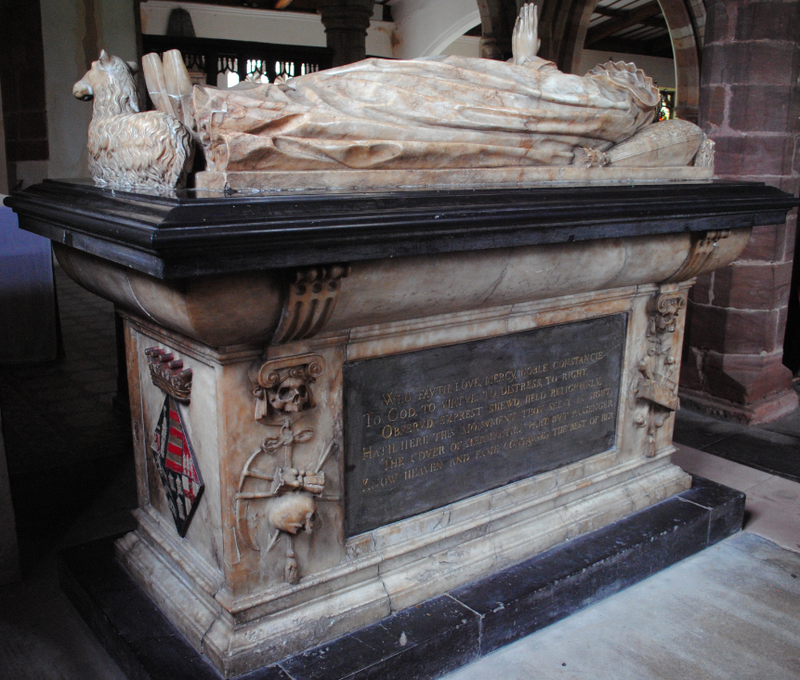 In St Lawrence Church in Appleby is the marble tombstone dedicated to Margaret Russell, Countess of Cumberland. Margaret was the youngest daughter of the 2nd Earl of Bedford and she was born in Exeter in 1560. Margaret married the 3rd Earl of Cumberland in 1577 with whom she had a daughter – Anne Clifford. The Countess died at Brougham Castle in 1616. 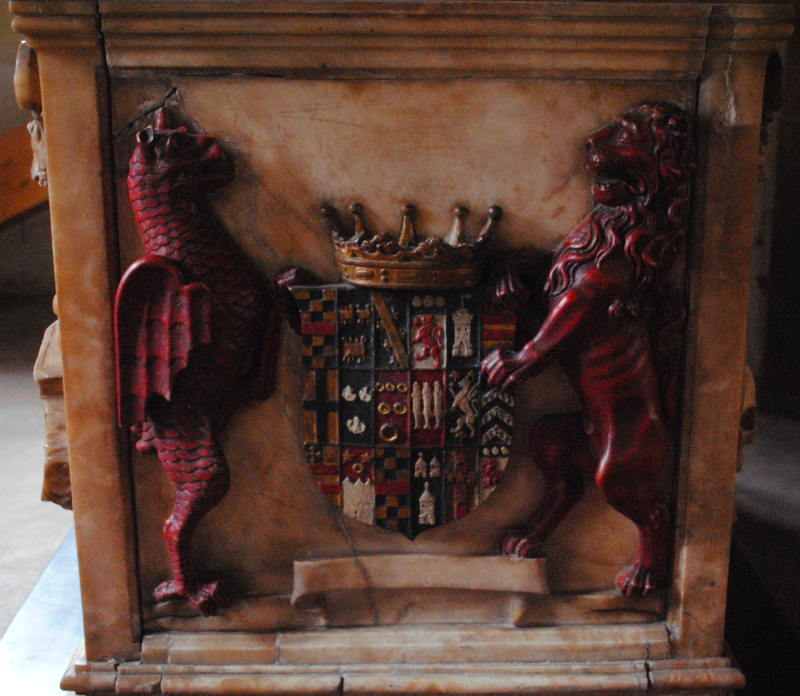 Lady Anne Clifford was responsible for the restoration of St Lawrence Church during the 17th century and she had the memorial raised in dedication to her mother. Formerly standing near the altar in the sanctuary, the monument now stands in the north chapel. The memorial features an alabaster figure lying above a marble base detailing heraldry relating to the Clifford family with two skulls supporting the Ionic capitals on either side of the inscription.